You’ve probably heard of — or even been to — Toronto, Montreal, Vancouver or Calgary. When Canadians or international travellers plan a trip to Canada, they tend to choose these and other major cities as travel destinations. However, the Great White North offers far more than these metropolitan cities. With the Canadian dollar continuing to decrease, this list of 50 small towns in Canada would make a great option for a family, a couple or even a group of friends. These destinations can easily be explored as a weekend getaway or simply hopping on a quick flight. Chetwynd’s location at the foothills of British Columbia’s Rocky Mountains makes it a hotspot for rock climbing, mountain biking, fishing, camping and hiking in summer and snowmobiling, cross-country skiing and other snow sports in winter. Why should people visit Chetwynd? Chetwynd is a place to escape the hustle and bustle of British Columbia’s cities and popular tourist destinations for fresh air and a getaway filled with outdoor adventure. Chetwynd is known for its unique chainsaw carvings and is home to dozens of them. What’s an attraction in your town that every visitor must see/do? Explore Chetwynd’s carefully designed trail system that has been specifically designed for hiking and mountain biking. The Dawson Creek community is known for its rich history and is loaded with heritage and historic sites. It’s the Mile “0” site for the Alaska Highway and is home to some of the last remaining original structures of the highway. Why should people visit Dawson Creek? Visitors should head to Dawson Creek for its hiking trails, which wind through meadows and mountain ranges to waterfalls. Travelers who enjoy spending plenty of time outside on lakes or trails will love the natural serenity Dawson Creek provides. Dawson Creek’s Kiskatinaw Bridge is one of the Alaska Highway’s last remaining original structures. Every visitor should spend time camping, fishing or bird watching at some of Dawson Creek’s provincial parks, including Kiskatinaw, One Island Lake and Swan Lake. Fort Nelson is another must-visit small town along the Alaska Highway. The area’s outdoor wonders and abundance of wildlife may be what draw you in, but it’s the friendly community that will make you want to come back every chance you get. Why should people visit Fort Nelson? People should visit Fort Nelson for a breath of fresh air. This outdoorsy town can fill a vacation with hiking, cross-country skiing, bird-watching, golfing and exploring historic sites. The popular Fort Nelson Demonstration Trails and Poplar Hills Golf Course are transformed into cross-country skiing trails in winter, providing year-round outdoor fun. What’s an attraction very visitor must see/do? Visit the Fort Nelson Museum to learn more about the Alaska Highway and Fort Nelson’s unique history. Experience the best of B.C. small town living in Houston. One of this town’s best features is its small size, which means friendly, welcoming people, intimate accommodation options (including cabins and lake lodges) and restaurants serving up some of B.C.’s best home cooking. Why should people visit Houston? Anyone who likes to fish will feel right at home in Houston. However, you don’t have to be an avid fisherman to love the amount of canoeing, snowmobiling, hiking, biking and cross-country skiing options available in the Houston area. What’s an attraction every visitor must see/do? Stop by the Houston Visitor Centre to view the world’s largest fly fishing rod and explore nearby Steelhead Park. Prince Rupert offers a unique, waterfront tourist area known as Cow Bay. This quaint area is close to downtown and includes some of the city’s best places to dine, grab a coffee or shop until you drop. Why should people visit Prince Rupert? People should visit Prince Rupert for its unbeatable combination of Pacific coastline and charming, tourist-friendly downtown area. Cultural tours and dining on fresh seafood can be coupled with ocean fishing, whale watching and hiking to create the perfect B.C. getaway. Prince Rupert’s surrounding rainforest was once home to First Nations villages, and visitors can find out more about the rich history at the town’s numerous museums. Every visitor should spend time exploring Cow Bay and watching the cruise ships dock in the summer months. Beaumont is a town known for its French Heritage, extensive trail system, green spaces and indoor recreation centres, which make for a fun-filled, action-packed vacation in all seasons. Why should people visit Beaumont? Beaumont is a place for visitors who want to slow down and enjoy a simpler way of life. Days in Beaumont involve walking or biking the trails, picnicking in a park or sledding on some of the area’s steepest and most thrilling sledding hills. Beaumont is home to more than 35 parks. If you’re planning a visit in winter, head to one of Beaumont’s seven outdoor skating rinks. In summer, cool off in the Waterspray Park at Four Seasons Park. Camrose is often praised for its hospitable, friendly community, their beautiful urban parks system right in the centre of the city, and some of the best recreational facilities in the country. Why Should People Visit Camrose? Anyone who likes to spend much of their vacation outside will fall in love with Camrose. The city offers a minimum of twelve golf courses that lie within a half- hour’s drive of the City. Camrose’s scenic urban parks system comprising over 36 km of trails are complimented by local nesting trumpeter swans, roaming deer, and other wildlife that will make you feel like you’re lightyears away from downtown. Winter in Camrose offers some of the best cross-country skiing and groomed trails to be found in Alberta, a state of the arts winter sports facility plus an array of outdoor skating rinks and toboggan hills. Camrose is surrounded by Alberta’s richest prairies and farmland. Camrose is also home to the largest country and western 4 –day outdoor music festival in North America. Celebrating 24 years this year, Big Valley Jamboree (BVJ) has been named CCMA Country Music Event of the Year 5 times since 2011. What’s an attraction in your city/town that every visitor must see/do? The historic downtown offers Unique Boutique Shopping at its best – over 27 shops independently owned and operated and all within a three-block walk from your parked vehicle. You are certain to find that special treasure. Every visitor should plan to spend plenty of time shopping and admiring Camrose’s charming downtown district, and end the evening with a delicious food experience in one of Camrose’s culinary restaurants. Turner Valley’s location at the base of the Rocky Mountains is much of what makes it such a special place. The town, located only 35 minutes south of Calgary, serves as a nature-filled refuge for those seeking a refuge from the day to day stresses of city life. Why should people visit Turner Valley? Turner Valley is a place to get back to nature and enjoy the outdoor lifestyle less than an hour from the city. Hiking trails, open fields, campgrounds and fishing holes await those who are seeking a worry-free getaway out in the wild. Turner Valley’s oil fields were once the largest producers of oil and gas in the British Empire. Turner Valley is known as a gateway to Kananaskis County, offering some of the area’s best horseback riding, camping, hiking, fishing and other outdoor activities. It’s hard to choose whether Sylvan Lake’s freshwater lakes, lush foliage, numerous parks, boutiques, quaint inns or famed restaurants are the town’s best features. However, you don’t have to choose, because you can enjoy them all while taking in the area’s infectious hospitality. Why should people visit Sylvan Lake? Sylvan Lake is the ultimate Alberta vacation destination. Visitors can skate on frozen lakes and enjoy a day at the spa in the winter months or play a round of golf and comb the pristine, sandy beaches in summer. Sylvan Lake sees more than 1 million visitors each year. Lonely Planet named Sylvan Lake’s beach one of the best in the province, and there’s no doubt you’ll agree when you’re sinking your toes in the sand or cooling off in the fresh, clear lake waters on a hot summer day. The town of Battleford is one of those places that you’ll want to live once you visit. Some of its best features are its family-friendly atmosphere and clean, safe environment for kids to play and adults to enjoy. Battleford’s abundance of walking trails, parks and challenging natural terrain make the perfect playgrounds for outdoor enthusiasts. Why should people visit Battleford? Battleford is a place to take in the beauty of North Saskatchewan and enjoy the region’s award-winning ski areas, golf courses and untouched natural terrain. Table Mountain Regional Park is one of Saskatchewan’s top ski areas, and it’s located just 20 minutes west of town. Head to Battlefords Provincial Park, located a 20-minute drive north of town, to enjoy some of the area’s best boating, swimming, fishing, golfing and camping. Canora’s best features are its natural ones. The area’s lakes, trails and wilderness provide some of the best outdoor recreation in Saskatchewan for those who enjoy truly getting away from it all. Why should people visit Canora? Anyone who prefers to spend a majority of their vacation outdoors will find Canora a perfect vacation destination. The town is known for offering some of the best hunting and fishing in the province, but visitors can also explore countless nearby lakes and hiking trails. Canora is located in the center of Saskatchewan’s “Good Spirit Country,” which is known for its abundance of hunting and fishing spots, golf courses and other areas welcoming outdoor sports enthusiasts of all kinds. Visit the CN Station House Museum, Canada’s only Toy and Autograph Museum and the Canora Ukrainian Heritage Museum. Nipawin is known as “Saskatchewan’s Playground,” and its best features are those that can be found outdoors — scenic campsites, pristine golf courses, and lakes for fishing, boating and nearly any watersport you can imagine. Why should people visit Nipawin? Nipawin is a place to visit for non-stop fun. Visitors can spend long days outside hunting, fishing, boating and hiking or explore some of Nipawin’s locally famous restaurants, museums and shops. There’s something for everyone in this small, outdoorsy Saskatchewan town. The famed “Old CPR Bridge” was built in 1928. Before the bridge was constructed, settlers crossed the waterway on a cable-guided ferry. Every visitor should spend at least a day out on Tobin Lake or Codette Lake. Boats can be rented from the local resorts and rental companies at most times of year. Altona is known for its long list of annual special events, top-notch recreational facilities and green spaces that make it easy for families to come visit and completely unwind. Why should people visit Altona? From summer farmers’ markets to the Night of Lights Parade and Tree Lighting, there’s always something going on in Altona that is guaranteed to make your vacation one to remember. Altona receives more hours of sunlight each year than any other Canadian region. Visitors with kids, or those who are just kids at heart, should spend at least one sunny summer day at the Aquatic Centre, playing among the pools, water slides, geysers, water cannons and more. The Pas is known as one of the oldest settlements in northern Manitoba, and it’s home to one of few true blue lakes in the world. It’s the area’s striking natural beauty that draws in visitors at all times of year. Why should people visit The Pas? There’s no doubt you can spend days admiring The Pas’ natural beauty, but you’ll want to get out and enjoy it too. This progressive community makes an ideal homebase for hunting, fishing and other outdoor excursions. The Northern Lights can be seen year-round in The Pas. If possible, plan your visit around one of The Pas’ famous annual events, the Trapper’s Festival, the Opasquia Indian Days, the Agricultural Fair or one of many others. 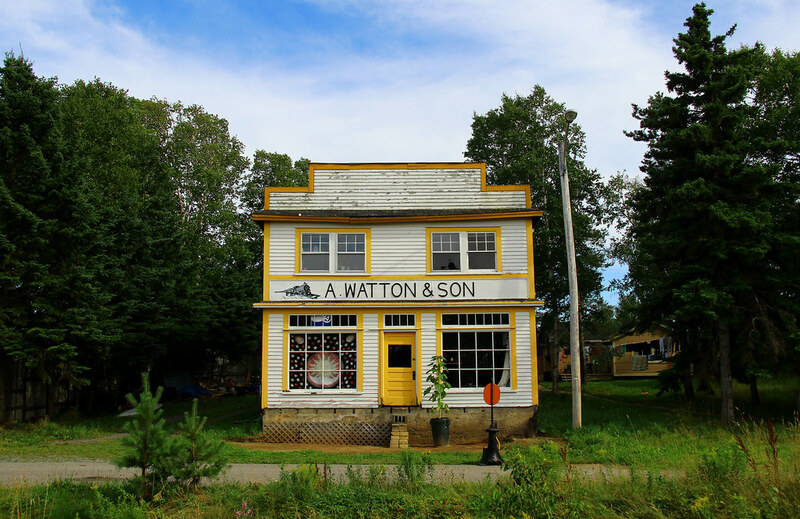 Stonewall is one of those small Canadian towns that feels like home the moment you arrive. Visitors and residents can take part in countless recreational activities, including hiking, picnicking, swimming, camping, ice skating and more, that make every day an exciting one. Why should people visit Stonewall? Stonewall is a place to simply let loose and have fun. Spend days hiking the trails, exploring Quarry Park, playing on the ice at the Veterans Memorial Sports Complex or shopping and dining along Stonewall’s historic Main Street. Stonewall’s Oak Hammock Marsh is one of North America’s best bird-watching spots. Discover the history of Stonewall at Quarry Park and the Lower Fort Garry National Historic Site. Bracebridge celebrates the “Art of Muskoka Living” and will win you over with its small town charm. Manitoba Street is one of the town’s best features, offerin a place for locals and visitors to catch up with a cup of coffee, shop or dine. Why should people visit Bracebridge? Bracebridge is a place to escape the stresses of everyday life and get outside on the lakes and trails (whether snowy or sunny), dine at some fabulous restaurants featuring locally produced fare and enjoy some amazing and unique festivals that embody the iconic Muskoka lifestyle. Bracebridge is location on the 45th parallel. Visit in the summer or over the Christmas season and you must see Santa’s Village, a Christmas village attracting more than 80,000 visitors each year. Cochrane is centered around stunning Lake Commando, where there’s a public beach with a waterslide and recreational opportunities, including beach volleyball, kayaking, canoeing, swimming or snapping photos of the views. Cochrane is also home to the famed Polar Bear habitat, the annual Winter Carnival, some of the best snowmobiling trails in the world, the August Summerfest and more scenic natural areas than you can visit in one trip. Why should people visit Cochrane? Cochrane has something for everyone, whether it’s adventure, the outdoors, history or polar bears. Cochrane is the birthplace of Tim Horton. The internationally respected Polar Bear Habitat, which is the only captive bear facility in the world that’s dedicated entirely to polar bears. Erin is a small, friendly town that invites every visitor to stay and play as long as they please. The town offers family-friendly events in all seasons, and the local parks and trails remain popular draws whether visitors are hiking, biking, snowshoeing or cross-country skiing. Why should people visit Erin? If you want to enjoy a stress-free, affordable vacation in a place where you’re welcomed with open arms, Erin is the place for your next getaway. The quaint, countryside setting makes Erin, located slightly north of the Toronto Area the hustle and bustle of the city. The Village of Erin was founded in the early 1800s. Walk along the Elora Cataract Trailway. Paris, Ontario, is often regarded as the “prettiest town in Canada,” see it’s easy to tell what its best features are. Natural scenery is where most of Paris’ beauty can be found, but the downtown area’s charming, historic appeal is just as pleasing. Why should people visit Paris? Visitors should flock to Paris to admire its breathtaking natural scenery and experience the downtown area, which overflows with character. Unique retail shops, delicious restaurants, hip cafes, hiking trails, bike paths and even canoe routes are all things you’ll find in downtown Paris. Visit downtown Paris’ Business Improvement Area (BIA), where local businesses and merchants invite visitors to admire their carefully designed window displays as well as the unique history and architecture of each shop. Port Hope’s best features can be found in its unique history and its stunning location on the north shore of Lake Ontario. Historic buildings combine with sandy beaches and waterfront trails to create a town that can’t help but draw tourists in all times of year. Why should people visit Port Hope? Port Hope is the perfect place to discover historic villages, enjoy a scenic drive, beachcomb, shop for antiques, or dine in some of Canada’s tastiest restaurants. There’s something for everyone in Port Hope, and you’ll never run out of exciting things to do. Port Hope was a boomtown before Canada even became a country. The town was first settled by four English families in 1793. Explore the Ganaraska Forest — Ontario’s largest forest. Visitors will find kilometre after kilometre of trails for horseback riding, hiking, cross-country skiing, mountain biking and even Tree Top Trekking. Smiths Falls is known for its location along the historic Rideau Canal, but visitors will find far more than history when they arrive. With everything from breweries and farm-to-fork eateries to countless green spaces, recreational centres, art galleries, museums and historic sites, you can create a Smiths Falls vacation that suits all of your travel wants and needs. Why should people visit Smiths Falls, ON? Smiths Falls is a place to discover the hip, historic and naturally stunning personality of eastern Ontario. The Rideau Canal was the first UNESCO World Heritage Site in Ontario. Discover downtown Smiths Falls, where you can shop until you drop at unique specialty shops, stroll with a coffee along the waterfront or dine in one of many locally famous restaurants. From the shipwrecks to the iconic Grotto, Tobermory is the nautical jewel at the tip of the Bruce. Home to both Fathom Five National Marine Park and Bruce Peninsula National Park, Tobermory is also the Scuba Diving Capital of Canada. Naturalists, photographers, hikers, cyclists, campers, boaters, and divers alike call it paradise. Why should people visit Tobermory? Tobermory offers the idyllic, turquoise water of Fathom Five National Marine Park and unforgettable hikes within Bruce Peninsula National Park. The best time to visit Tobermory is May/June or September/October” for the best experience. Tobermory is the diving capital of Canada. The Grotto: a natural sea cave on Georgian Bay. Beauharnois is part of the Greater Montreal Area, but you’ll feel thousands of miles away from the hustle and bustle of the city when you visit. The Riviere Saint-Louis runs through the city center, making for stunning views from downtown in all seasons. Why should people visit Beauharnois? Beauharnois is a relaxed and welcoming place to feel light years away from the city. Hiking, snowshoeing, cross-country skiing, ice skating and countless other outdoor activities can be enjoyed in Beauharnois without having to buy expensive plane tickets or venture too far from home in the city. Beauharnois is home to one of the world’s largest hydroelectric generating stations in the world — the Beauharnois Hydroelectric Power Station. Visit the Beauharnois Lock on the Saint Lawrence Seaway. Hudson’s unique personality is its best feature. Outdoor events take place in all seasons, and every time of year is the right time of year to explore Hudson’s charming downtown scene. Why should people visit Hudson? Visitors are guaranteed to fall in love with Hudson’s seasonal markets, quaint shops, thriving art scene, cultural activities, gourmet eateries and gorgeous scenery. Hudson is home to a majority English-speaking population unlike its nearby French-speaking towns and cities. Visit the Hudson Museum to uncover the town’s fascinating history. Montmagny is a historic town on the southern shore of the Saint Lawrence River. It was founded roughly 350 years ago, and visitors can discover much of its history through the unique architecture, museums, historic churches and more. Why should people visit Montmagny? Montmagny is a place to enjoy the unique history and picturesque setting of Quebec’s Chaudiere-Appalaches region. Monts Notre Dame is the official name of the “Appalachians” or “Green Mountains”, which are located just southeast of Montmagny. Hire a fishing guide and explore Montmagny’s wetter side. Roughly 50% of the sturgeon consumed around the world is from Montmagny’s waters. Saint Alexis Des Monts’ location is what makes it so undeniably special. It’s easy to pass days, weeks or months exploring the Laurentian Mountains on foot, bike, cross-country skis or snowshoes. Why should people visit Saint Alexis Des Mont? Saint Alexis Des Monts will likely be one of the most beautiful places you’ll ever visit. You’ll find it difficult to leave the stunning Laurentian Mountain scenery, historic town, and the area’s never-ending, natural outdoor playground. Saint Alexis Des Monts depends heavily on outdoor tourism. In fact, the town’s seasonal population grows by nearly 10,000 because of its ideal mountain location. Saint Alexis Des Monts is known for its variety of luxurious spas. Spend a day at the Geos Spa Sacacomie or the Serenita Spa Auberge to ease your muscles after days of adventure in the Laurentian Mountains. Beresford’s Chaleur Bay has been recognized as one of the most beautiful bays in the world. The town’s beachside boardwalk, salty air and postcard-worthy beach scenery are some of the key features that draw flocks of tourists in the summer months. Why should people visit Beresford? Beresford is a place to relax and enjoy time at the beach with friends and family. The small Acadian community is always friendly, and there’s no doubt you’ll leave feeling refreshed, relaxed and a little bit salty. Beresford is home to its own butterfly, the Maritime Ringlet, which lives almost exclusively Chaleur Bay’s salt marshes. Explore the Chaleur Bay salt marshes on the must-visit interpretive trail. Riverview is a scenic town along the Petitcodiac River. The town’s numerous parks, annual festivities and recreational centers make it an ideal place for families or anyone seeking a fun-packed getaway with plenty of time spent outside. Why should people visit Riverview? Riverview is New Brunswick’s fifth largest municipality, which makes it the perfect place for Canadians who are seeking a little more. It’s loaded with renowned restaurants, countless parks, a long list of annual events, trails, shops, galleries and plenty of things to do for visitors of all ages. Riverview possesses one of Canada’s seven Nav Canada control centers, which serve air traffic over Prince Edward Island, eastern Quebec, Nova Scotia and New Brunswick. Hike the Riverfront Trail, which winds along the Petitcodiac River and is a hotspot for seeing waterfowl and other local wildlife. Visitors and locals alike spend most of their time in Rothesay on or around the town’s gorgeous Kennebecasis River. Why should people visit Rothesay? Visitors will find Rothesay a safe, welcoming, and pristine town that offers tons of activities indoors and out. From ice fishing and hiking to sailing, shopping and exploring Rothesay’s carefully maintained parks and gardens, it’s a place that serves as a charming escape in all seasons. It is said that Rothesay was named in honour of the Prince of Wales. When the prince, later King Edward VII, visited in 1860, he remarked that the area reminded him of Rothesay, Scotland. Spend some time on Rothesay’s excellent hiking and biking trails, which can be found at Bicentennial Park, East Riverside-Kingshurst Park, Hillside Trail and Steele-Kennedy Park. Some other great parks worth mentioning include Rothesay Common, Stuart Dobbin Park, Renforth Park, Jordan Miller Park, Wells Recreation Park. Woodstock is a town with a lot of personality, and you can find that in its many shops, boutiques and mouthwatering restaurants. The waterfront boardwalk, greenway and public docks offer visitors easy access to the area’s stunning waterways. Why should people visit Woodstock? enjoy New Brunswick’s Woodstock is a place to enjoy New Brunswick’s natural scenery and waterways. It’s easy to relax when you’re overlooking the picturesque St. John River. Woodstock was New Brunswick’s first official town, incorporated on May 1, 1856. Take a stroll along the waterfront boardwalk. Afton is a town known for its history, and the community has gone above and beyond to preserve the area’s unique historical features. Visitors can spend days discovering the town’s history and enjoying its charm and simplicity. Why should people visit Afton? The first inhabitants of the Afton region were the nomadic Mi’Kmaq hunters. The Glen Afton Golf Course is one of the biggest draws to the Afton area and is the perfect place to play a round and enjoy a delicious lunch. Cornwall is a small town, located seconds from the Northumberland Strait, that offers some of Prince Edward Island’s best scenery and seafood without the busy tourist crowds of other PEI hotspots. Why should people visit Cornwall? Cornwall is a place to discover the history of Prince Edward Island while taking in the beauty of the Northumberland Strait. The NHL Hockey Player Adam McQuaid, who won the Stanley Cup in 2011, is from Cornwall. You won’t regret taking part in the Prince Edward Island Culinary Adventures, where you’ll spend a day with renowned Chef Ross harvesting and preparing PEI culinary favorites, like freshly-farmed oysters, lobsters and more. As you enter Souris, you will find one of PEI’s best beaches, which is also home to our newly developed Souris Beach Gateway Park. Here, you can search for sea glass, enjoy some fresh local seafood and sit and enjoy a beautiful sunset. As you move farther into town, you will find many historic homes, museums, artisans shops, restaurants and other local amenities. Souris is also the gateway to the Isle-de-la-Madeleine, as we are home to the CTMA Ferry service. Our name is “Souris,” the french word for “mouse,” because in the mid-1700s, the town was said to be overrun by mice. Summerside is the second largest city in Prince Edward Island, which means there is a long list of things to do on your visit. The happening boardwalk, plentiful shopping centers, award-winning restaurants, and endless list of ocean activities make it a must-visit PEI town. Why should people visit Summerside? Summerside is a place to experience Prince Edward Island to the fullest. The fresh-caught seafood and stunning ocean views are reason enough to spend several days in this hip, artsy and historic seaside town. The Summerside Raceway is believed to be Canada’s oldest operating race track. It opened in 1886. Catch a show at the Harbourfront Theatre, a theatre that has been known to attract some of the world’s best entertainers. The oceanside boardwalk is also a must-visit place for some of Summerside’s most scenic shopping and dining. Amherst is one of Nova Scotia’s most happening towns, with everything from pristine beaches to historical downtown homes, museums, shopping, golf courses, art galleries, famous murals and more. Why should people visit Amherst? Amherst is a place for travelers who like to stay busy. Whether you’re into the birding and the outdoors or shopping, dining and the arts, there’s no shortage of things to do when visiting this historic Nova Scotia town. The original Town of Amherst was established in 1764 and was located two miles west of where it is today. Wander the town and admire Amherst’s famous murals that celebrate the town’s history in vivid color. It’s hard not to fall in love with Mahone Bay at first sight. The town’s population hovers around 900, but the diverse restaurants and shops lining the main street will make you think differently. It’s no wonder that Mahone Bay’s tourism booms in the summer months, because the picture-perfect town is the perfect backdrop for warm-weather activities on the water. Why should people visit Mahone Bay? Mahone Bay is the ideal setting for a family getaway, a romantic escape or a weekend spent exploring the great outdoors. Its charming accommodation options, delicious restaurants and cute shops make every day enjoyable. Mahone Bay’s famous three churches are said to be the most photographed churches in all of Canada. Rent a bicycle to explore the shoreline and downtown streets on a more personal level. Stellarton’s rich history as a coal mining town is one of its greatest features. It’s also loaded with recreational facilities and parks that make it an appealing place for visitors who like to spend a lot of time outside. Why should people visit Stellarton? Visitors can discover the history of coal mining and railroads in Nova Scotia while enjoying Stellarton’s friendly, hometown feel. Stellarton was called Coal Mines Station during pioneer times. Visit the Nova Scotia Museum of Industry, which is part of the esteemed Nova Scotia Museum System. Yarmouth’s place as one of the most happening towns on the Bay of Fundy means visitors enjoy an endless list of things to do. The natural scenery and easy ocean access are the town’s best features, offering a multitude of on and off-water outdoor activities. Why should people visit Yarmouth? Yarmouth is a place for seafood lovers and ocean enthusiasts. Days can easily be spent dining at world-class seafood restaurants, exploring main street, gawking at cruise ships and discovering historic Bay of Fundy homes. Yarmouth is located among the world’s largest lobster fishing grounds. Take a kayaking tour with an experienced and knowledgeable guide to discover Yarmouth from a different angle. Labrador City’s best features are its natural ones. The small town in western Newfoundland and Labrador is known for its surrounding nature, which is ideal for hiking, hunting, fishing, cross-country skiing, snowmobiling and countless other outdoor activities for every season. Why Should People Visit Labrador City? Visitors are welcomed with open arms in Labrador City. The local businesses all wish to share their piece of paradise and help you relax among some of Newfoundland and Labrador’s most stunning scenery. Labrador City is the Iron Ore Capital of Canada. One of Pasadena’s best features is that it sits along the sandy beaches of Deer Lake. Visitors can enjoy the public beach and engage in countless other water-based activities, including swimming, ice fishing, kayaking and more. Why should people visit Pasadena? Pasadena is a place for anyone who likes to dip their toes in the sand and relax among family and friends old and new. Pasadena was recognized by a leading magazine as one of the top 10 most desirable places to live in Canada. Visit the Pasadena Ski Nature Park, which features nearly 20 kilometres of cross-country ski and snowshoe trails. The trails are also ideal for hiking and mountain biking when the snow melts. Springdale is loaded with notable features, whether you’re interested in culture, the outdoors, history or culinary delights. The Springdale Wetlands are a unique ecosystem formed from the flow of the Indian River into Halls Bay. they’re one of the best places in Newfoundland to admire moose, Canadian geese, salmon, ducks and countless other water and land-based species. Why should people visit Springdale? Springdale is located on the shores of Halls Bay and is a charming jumping place for whale-watching and iceberg-spotting adventures. Actress Natasha Henstridge is from this small Newfoundland town. Visit the Indian River Falls, one of few places in Newfoundland where you can watch Atlantic salmon jump the falls. Torbay is located on the Atlantic Ocean, which means visitors and residents are able to enjoy stunning ocean views in a quaint, rural setting. One of Torbay’s best features is that it isn’t overflowing with tourists like many other oceanfront getaways. Why should people visit Torbay? Torbay is a place to get away from it all and still enjoy the perks of being ocean-side. Visitors often head to Torbay to admire the coastline and learn about the town’s bounty of historic sites. The pirate John Nutt and his family settled in Torbay from Devon. Use Torbay as your gateway to hiking the East Coast Trail, which offers 500 kilometres of scenery along the shoreline of Newfoundland and Labrador. You can find the East Coast Trail from the Father Troy Walking Trail connecting Torbay and Flatrock. Similar to other Yukon towns, Carmack is one of the best places to see the Northern Lights. It’s an ideal jumping point for Yukon exploration and offers a number of locally-famous restaurants that are ideal for taking a break from your usual campfire meals. Why should people visit Carmacks? Carmack offers restaurants and a cozy place in Yukon travelers. Stay at one of Carmack’s campgrounds, RV parks or hotels and spend days adventuring on the Nordenskiold Ridge or discovering the incredible Northern Tutchone history. The town was named for George Washington Carmack, one of the co-discoverers of the gold that inspired the Klondike Gold Rush. Visit the Tage Cho Hudan Interpretive Center, where you’ll discover the unique culture of the Northern Tutchone people. Dawson City’s humble but charming downtown area is loaded with unique shops, happening bars and restaurants cooking up the finest local meats and produce. Venture away from the town and an outdoor playground of hiking trails, mountain vistas and boat rides on the famous Yukon River await. Why should people visit Dawson City? Dawson City is a small town that packs a big punch in terms of things to see and do. The charming town, with countless historic sites, walking trails and renowned restaurants, is the perfect place to call home while you explore the Yukon. Dawson City is the heart of the famous Klondike Gold Rush. It was also once known as the Paris of the North. Visit the Discovery Claim, where Dawson Charlie, Skookum Jim and Kate and George Carmack discovered gold. Watson Lake is one of the best places in the world to see the Northern Lights. However, the town’s impressive Northern Lights museum, Mt. Maichen Ski Hill and cool downtown area offer a little bit of something for every type of traveler. Why should people visit Watson Lake? Visitors should head to Watson Lake to admire the stunning Aurora Borealis displays and discover all of the science and folklore associated with the phenomenon. The town’s Northern Lights Center is one of the best places to learn about the Northern Lights in the world, with interactive displays and a state-of-the-art dome. Watson Lake’s famous Signpost Forest features more than 72,000 signs. Every visitor must spend a night outside admiring Watson Lake’s spectacular Northern Lights displays. And no visit to the town is complete without seeing the incredible, world-famous Signpost Forest. Behchoko is a tiny town with a lot of character. It’s known for its incredible Tłı̨chǫ heritage, which can still be found in the unique paintings, clothing and crafts that can still be found there. Why should people visit Behchoko? Behchoko is a place to discover the culture of the Tłı̨chǫ people. Visitors can shop for unique beaded jackest, slippers and art or discover the area’s stunning territorial parks. The Behchoko name is derived from the word behchokǫ̀, meaning “big knife,” in the Tłı̨chǫ language. Visit the North Arm and Chan Lake Territorial Parks. Fort Smith is a place known for its adrenaline-pumping whitewater rapids, endless hiking and mountain biking trails and abundance of outdoor winter activities. Why should people visit Fort Smith? Venture to Fort Smith to enjoy some of the Northwest Territories’ best outdoor adventures. However, you don’t have to be an adventure junkie to enjoy the town. Annual events, like the Dark Sky Festival and Slave River Paddlefest, are just a couple of the ways you can take in the culture and personality of this action-packed town. Fort Smith’s “Old Man Beaulieu,” or Francois Beaulieu II, was the founding father of the Northwest Territories Metis. He was recognized as a National Historic Person in 2000. Spend a day exploring the largest national park in Canada — Wood Bufffalo National Park. Inuvik lies at the end of the world-famous Dempster Highway and has been welcoming visitors since it was built in 1961 as the hub of the Western Arctic. Located 200 kilometres north of the Arctic Circle, and just 100 kilometres from the Arctic Ocean, the town calls the beautiful Mackenzie Delta home. Whether enjoying summer activities under the midnight sun, or winter activities under the aurora borealis, Inuvik is sure to please everyone. Why should people visit Inuvik? We are a fully functioning urban area with all the expected amenities of a southern town – except we are in the Arctic! We are the home of the Muskrat Jamboree and the annual reindeer crossing. Each spring, a managed herd of more than 3,000 reindeer make their way from the foothills to cross the frozen Mackenzie River Ice Road near Inuvik on their way to a small island in the Canadian Arctic that serves as their calving grounds. In winter, drive the ice road from Inuvik to Tuktoyaktuk (and the Arctic Ocean) – just like the Ice Road Truckers. In the warmer months, take in the local sights – visit the Igloo Church, see the Greenhouse (North America’s northernmost commercial greenhouse), play a round of golf and boat through the Mackenzie Delta. Arviat’s best features are related to its unique northern location. It’s a place where you can get outside and explore the unbelievable natural scenery of beautiful Nunavut in summer or winter. Why should people visit Arviat? Anyone who loves the outdoors and rugged natural settings will fall in love with Arviat. Winters can be spent adventuring on snowmobiles, ATVs, cross-country skis or even by dog sled. And it’s easy to fill summer days at the Arvia’juaq and Qikiqtaarjuk National Historic Site, which was once the summer home of the Paallirmiut people. Visitors are guaranteed to be wowed by the pods of beluga whales that can be seen in the community’s nearby bays. Arviat was named from the Inukitut word “arviq,” which means “bowhead whale.” It wasn’t named for the beluga whales in the region but for the unique coastal landscape that resembles a whale. Visit the Whale’s Tail Monument, which is also a great place to take in the views of Arviat and surrounding scenery. Pond Inlet is known for its glistening ice caves and towering icebergs. The town’s unique location in the High Arctic means nature and wildlife enthusiasts will never find a shortage of things to do. Why should people visit Pond Inlet? Pond Inlet is a place for hikers, campers, cross-country skiers and explorers of all kinds. It’s easy to spend entire vacations exploring the Sirmilik National Park and nearby Tamaarvik Territorial Park. Sunny summer days in Pond Inlet are ideal for narhal watching, sport fishing, boating and kayaking in the sea amongst icebergs. Pond Inlet is also called “Mittimatalik,” which means, “the place where Mitima is buried,” in English. This community is predominantly Inuit.